Exchange your current printer for a Xerox Phaser 6600DN and receive a high quality, affordable color printer and a $350 discount! The Phaser 6600DN has been extremely reliable and very popular in Southern Maryland. 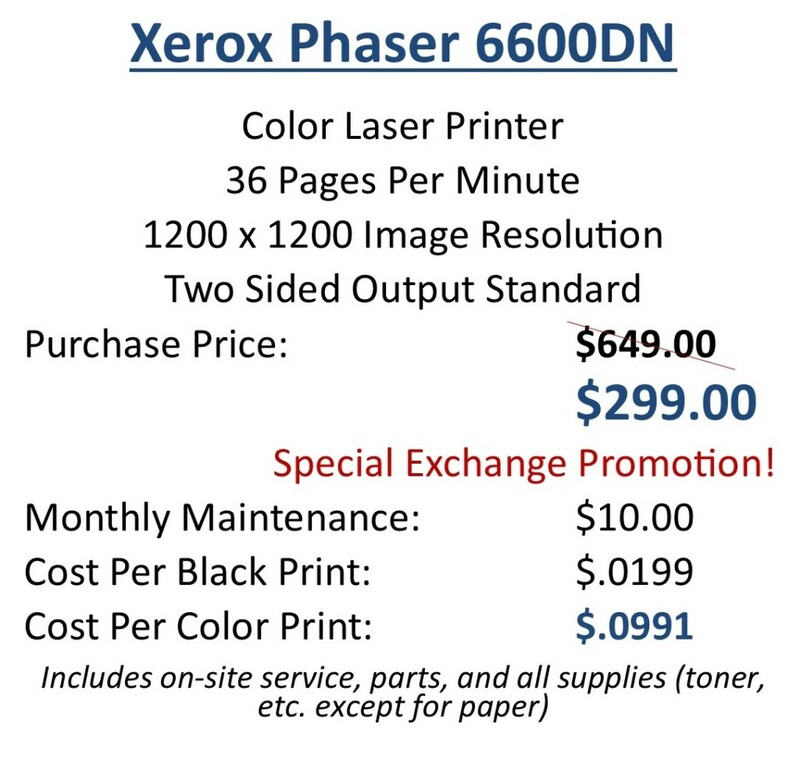 In addition to the exchange promotion, the Phaser 6600DN comes with our affordable maintenance plan which provides supplies (toner, etc), parts and labor at a fraction of the cost of our competitors. With our proactive monitoring software, supplies are sent automatically. 1) Replacing older technology with brand new, high resolution, color printer technology. 2) Reducing your operating or ongoing toner & supply costs as these new printers cost a fraction to print compared to competitive printers. 3) Fixed cost per page regardless of the toner used. Print all the pictures and graphics you want for the low cost per page. 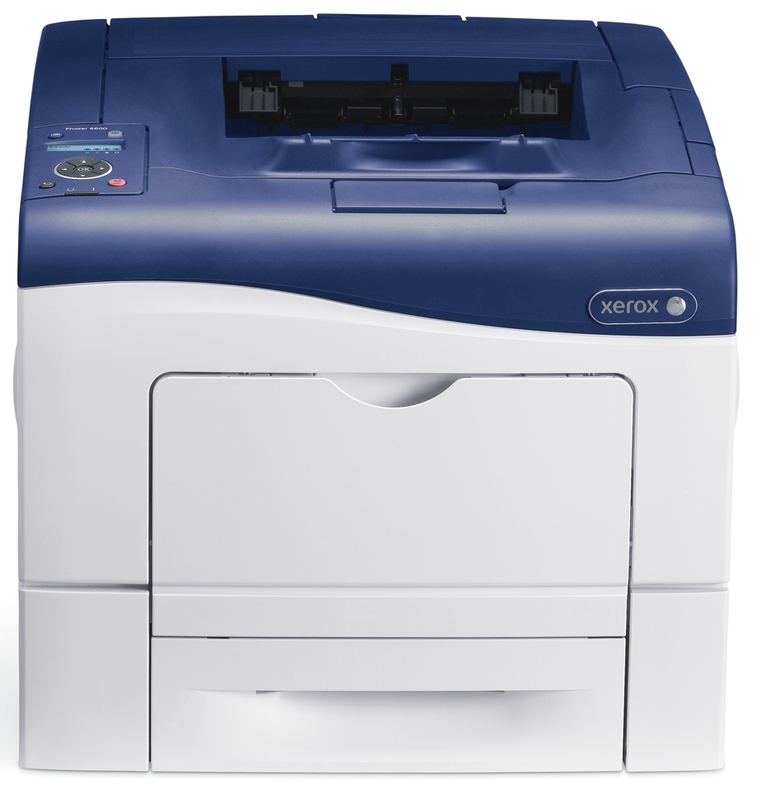 4) A $350 discount on the Xerox 6600DN color printer which is a 54% discount! This is truly a win-win that will benefit you even more in the long term and a great deal available for a limited time! For information on this incredible offer, contact us today!